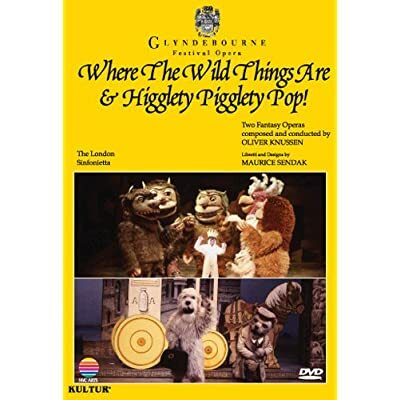 Also on the DVD is Knussen’s children’s opera Higglety Pigglety Pop! based on Sendak’s story of the same name. See the video preview. Where the Wild Things Are/Higglety Pigglety Pop! DVD is now available at Music in Motion. What strengths and weaknesses does each art form possess in conveying the story? Do you react with different emotions to each? Which of the three forms stirs your imagination the most? How does music help tell the story? Do you enjoy and remember better the music of the film or the opera?